In Canada no single agency has been responsible at a national level for indoor environments and their impacts on health and productivity. Rather, the responsibility has been fragmented across a number of agencies such as Canada Mortgage and Housing Corporation, Health Canada, and Public Works and Government Services Canada. Further, a wide range of stakeholders are involved in creating and maintaining healthier indoor environments - from architects, builders and engineers, to purchasing agents, HVAC consultants, and building cleaning staff and services. This situation had been a key obstacle to promoting healthier indoor environments in Canada. The challenge was to engage the key stakeholders in working more closely together to support improvements across the country. CULLBRIDGE was invited by Pollution Probe to co-lead this work, which grew out of our earlier work together on Voluntary Measures. Together, we secured funding and participation from key government and industry organizations, and carried out the project. Developed a draft, national, multi-stakeholder strategy for discussion, harmonized with the U.S. EPA's Healthy Buildings - Healthy People process. Facilitated three day-long face-to-face forums in Vancouver, Ottawa and Halifax. Revised the draft strategy and formulated action plans based on the comments received. Launched HIP to professionals through a series of workshops, conferences and articles in trade magazines. This was a joint project of CULLBRIDGE, Pollution Probe and the Summerhill Group. We have since involved over a dozen sponsors and thirty supporting partners. About 1,000 on-line participants who, on average, each downloaded the discussion documents once and viewed an average of eight web pages of information. In 2003, HIP moved from being a vision to an on-the-ground organization with members carrying out projects across Canada. HIP's Research Committee consolidates and integrates the activities of national research and technology organizations. In 2003 it conducted a stakeholder and expert consultation forum that brought together eighty experts to establish Canadian knowledge and research needs related to mould in the indoor environment. The Committee also started a Directory of Research Experience. The Marketing Committee helped launch HIP and organized the first of an ongoing series of special inserts in the media focused on indoor air quality. The Guidelines and Best Practices Committee began its work of developing guidance in the form of guideline and best practice documents for the design, construction, commissioning, operation, management and maintenance of buildings that enclose living and work spaces. The Education and Outreach Committee helped launch HIP, and brought together a team of organizations to help implement a Canadian version of the popular U.S. EPA IAQ Tools for Schools. 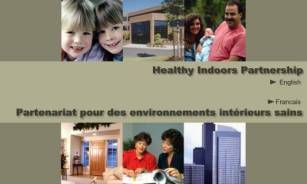 Healthy Indoors Partnership (HIP) is a not-for-profit organization that promotes healthier indoor environments in Canada through multi-stakeholder collaboration. We connect people, ideas and resources from government, industry, educational and research institutions, and public interest groups to collaborate on common indoor environmental health issues. Together, we are accomplishing more than any of our members could alone. The consultation engaged over 160 participants at face-to-face forums, and about 1,000 on-line participants. The later each downloaded the discussion documents once and viewed an average of eight web pages of information. Cullbridge helped birth and provided ongoing Executive Director services to the new organization. This included strategic planning, Board development, writing and distributing HIP newsletters, and developing / maintaining HIP's website. Copyright © 2012, Cullbridge Communications and Marketing. All rights reserved.